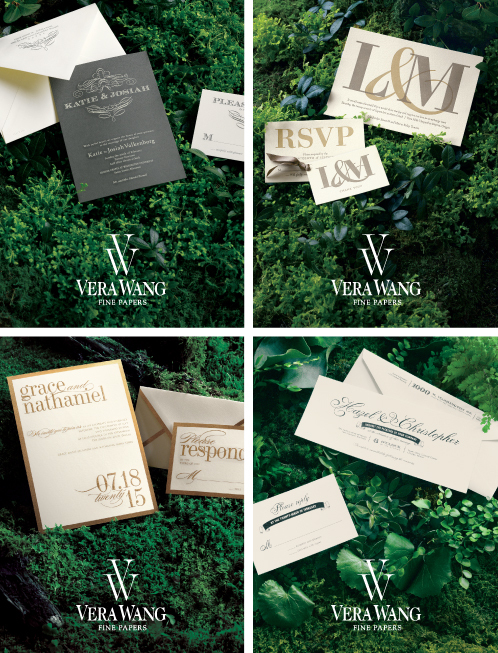 PREPARATION: After reviewing Vera Wang On Weddings, we determined which invitation suites would resonate with brides and complement the campaign’s natural environment: Gold Border, Calligraphic Crest on Pewter, Bridal Damask Pocket, Letterpress with Oversized Monogram, and Vintage with Banner were selected. THE DAY OF: To simulate natural settings, we built three unique dioramas with varying depths, dimensions, textures, and features. 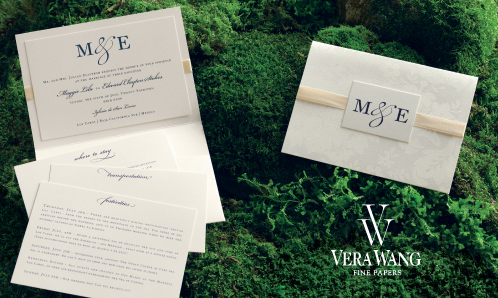 Each invitation was then paired with an environment that flattered it’s format, size, and shape. We finessed each shot by removing or adding components, rotating items, and adjusting the camera angle. 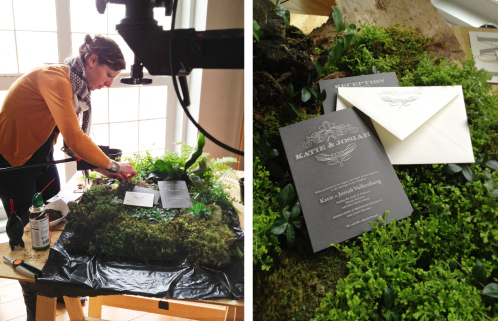 Each diorama was pruned and revised the throughout the day to create further variations in each scene. 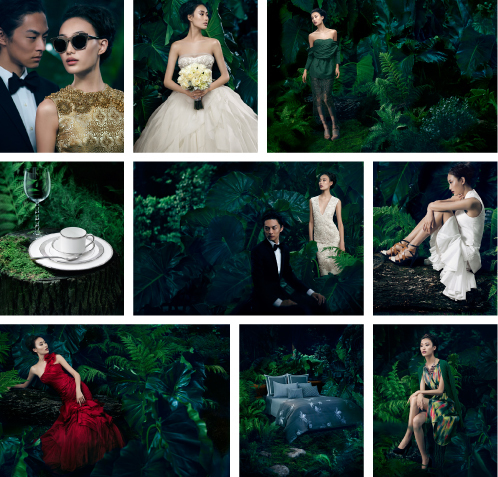 The result: Five stunning, organic images that align with Vera Wang’s 2013 campaign.